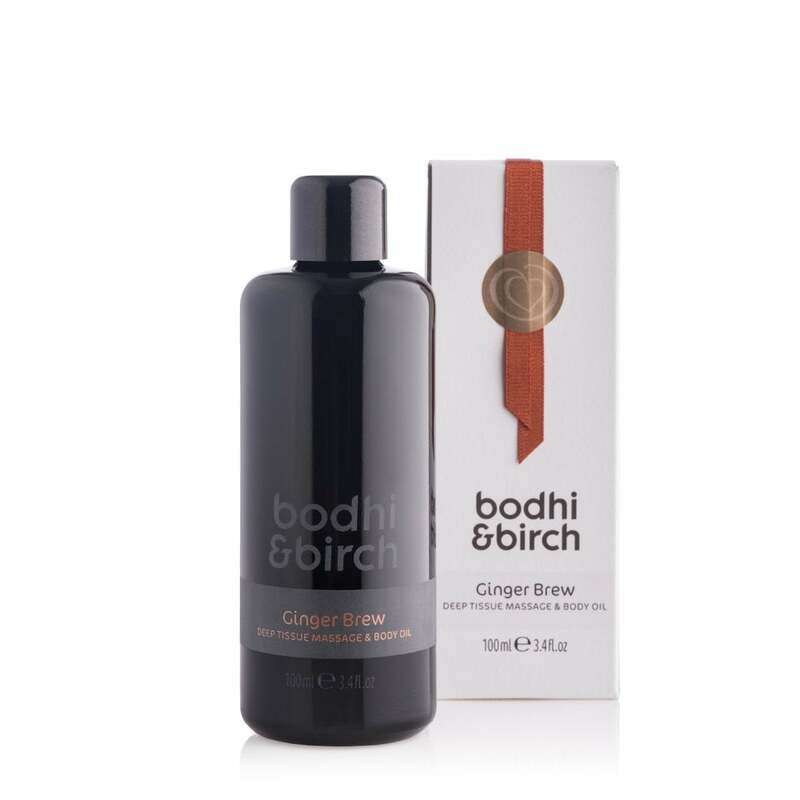 Bodhi & Birch Ginger Brew Massage & Body Oil: Indulge your senses with this aroma-therapeutic deep tissue massage oil, rich with essential oils from ginger, plai, galangal and turmeric to help reduce inflammation and soothe muscle aches. Warm oil in your hands and smooth into skin with gentle strokes. Alternatively, use after your bath or shower for a deeply nourishing glow.